WASHINGTON (CN) – Looking past the no-shows whose absence riled up House Republicans at a hearing on the death of a federal agent in Mexico, Democrats argued Thursday that the crux of the tragedy lies with budget cuts and deregulation. The 2011 death of immigration agent Jaime Zapata is not directly tied to the Fast and Furious boondoggle out of the Bureau of Alcohol, Tobacco, Firearms and Explosives, but it bears many of the same missteps and errors that ended in an unprecedented contempt finding against then-Attorney General Eric Holder after a years-long investigation. The ATF’s Phoenix, Arizona, field division dreamed up Operation Fast and Furious as way to bring down the leaders of Mexican cartels by letting their straw buyers purchase guns from licensed firearms dealers in the United States. 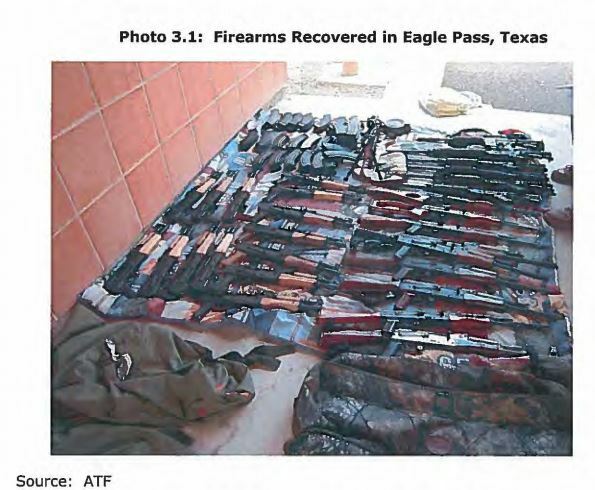 Agents ultimately recovered only hundreds of the thousands of guns at issue, and two such rifles turned up at the 2010 murder scene of Border Patrol agent Brian Terry. Though Zapata was also killed with a gun trafficked from the United States, the Dallas-Fort Worth area of Texas where the gun was sold fell outside the Phoenix ATF’s purview. The House Oversight and Government Reform Committee convened a hearing this morning to study the report, but only ATF Acting Director Thomas Brandon showed up to testify. Committee chairman Jason Chaffetz slammed the excuses Brandon offered for why two of his colleagues, ATF Associate Deputy Director and CEO Ronald Turk and Special Agent in Charge William Temple, sat out the hearing. “The idea that you needed more time, that you didn’t get the customary two weeks is a load of crap and you know it,” said Chaffetz, a Utah Republican. “You had this since December,” Chaffetz said of the report. Chaffetz said the officials likely knew they’d be asked about the report long before its official March release. Subpoenas that Chaffetz issued this morning will force Turk and Temple to give a deposition to the committee later this month. The OIG’s report offers key details on Manuel Barba, the head of the ring of “straw purchasers” who moved one of the guns that was used to kill Zapata to Mexico. Barba had been in federal custody, the report says, but he was released after the Drug Enforcement Agency failed to share the details of his possible involvement in a gun-trafficking scheme with the ATF and a federal prosecutor. The ATF also failed to act on information that would have allowed it to arrest two other people involved in running guns to Mexico, according to the report. “We’ll never know whether agent Zapata would still be alive if the ATF had done its job properly, and we rely heavily on the inspector general and their expertise in looking at this,” Chaffetz said at Thursday’s hearing. Brandon testified that the ATF has taken steps to move past the scandal. “ATF of 2017 is not the ATF of 2010 when much of this stuff happened,” Brandon said. Inspector General Michael Horowitz supported this claim in his own testimony.